Sachin Tendulkar and Sonu Nigam's first song, Cricket Wali Beat Pe goes viral! Sachin Tendulkar and Sonu Nigam’s first song, Cricket Wali Beat Pe goes viral! 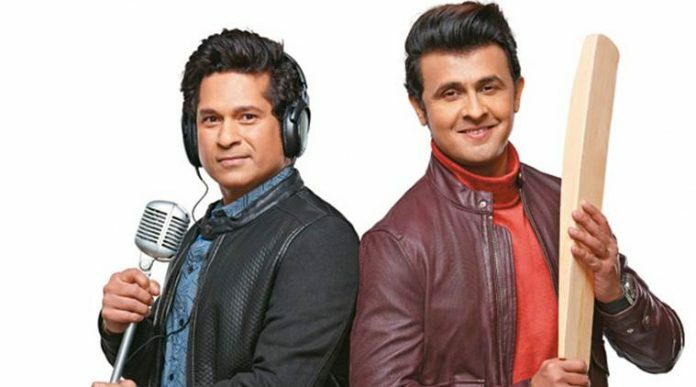 Legendary cricketer, Sachin Tendulkar has made his singing debut with a collaboration with singer Sonu Nigam in a track titled Cricket Vali Beat Pe. The duo launched their track with a worldwide premiere on hit reality show, Indian Idol Season 9 Grand Finale on April 2, 2017 and it has already gone viral! Sachin recently launched his mobile app, 100 MB, which he regards as the second innings of his career. This music video has shocked fans as master blaster Sachin never expressed his desire to sing, previously. 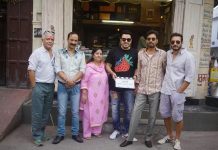 The lyrics of the much-loved song Nacho Nacho Nacho Sare Cricket Wali Beat Pe is quirky and interesting. It goes something like this – ‘Gend aayi, bala ghuma, mara chaka, Sachin, Sachin… nacho nacho sab cricket wali beat pe’. You can download Sachin’s 100 MB app right here and stay a step closer to the cricket (and ow singing) legend!